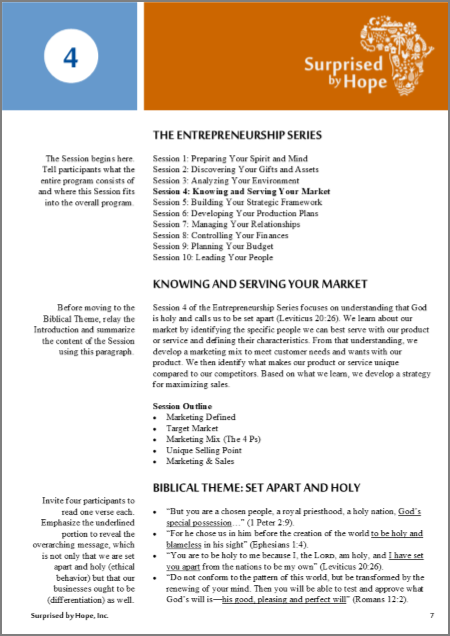 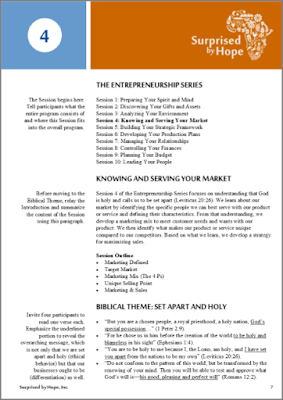 Session 4 of the Entrepreneurship Series focuses on understanding that God is holy and calls us to be set apart too (Leviticus 20:26). 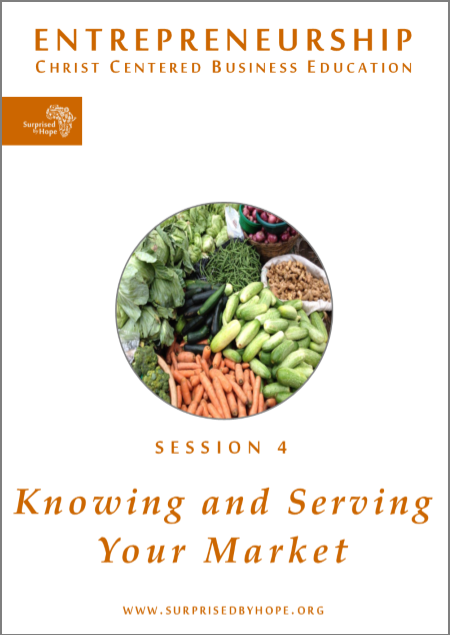 We learn about our market by identifying the specific people we can best serve with our product or service and defining their characteristics. 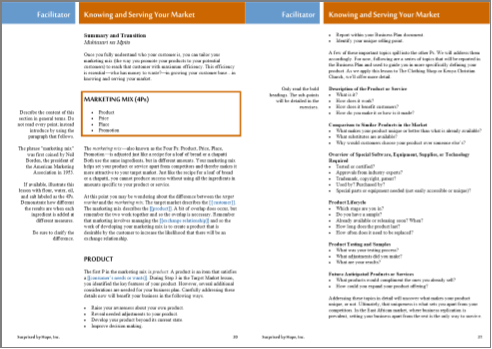 From that understanding, we develop a marketing mix to meet customer needs and wants with our product. 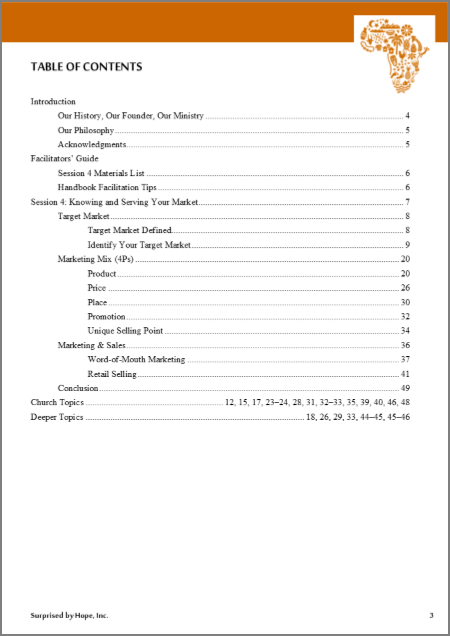 We then identify what makes our product or service unique compared to our competitors. 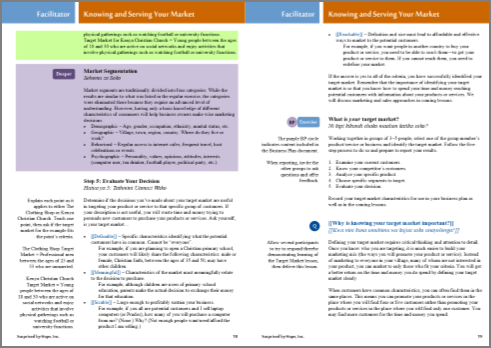 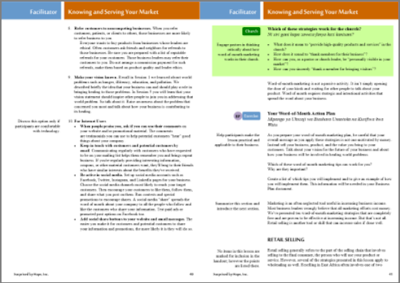 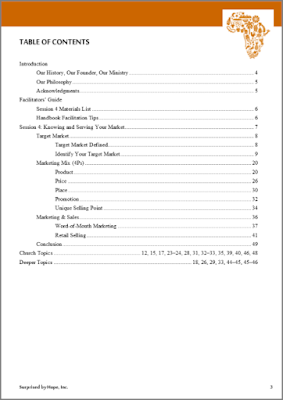 Based on what we learn, we develop a strategy for maximizing sales.